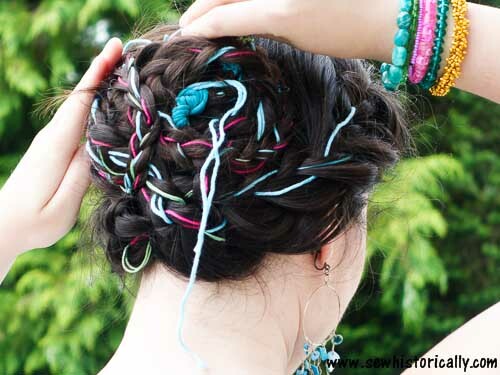 Yarn braids are so fun and colorful – perfect for summer and festivals! 😀 And they’re easy to make. In this tutorial I show you how. Tie the yarn around small strands of hair. 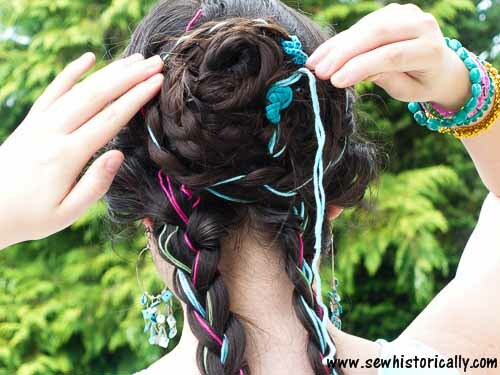 Using a scissor, trim the yarn to the same length as the hair. 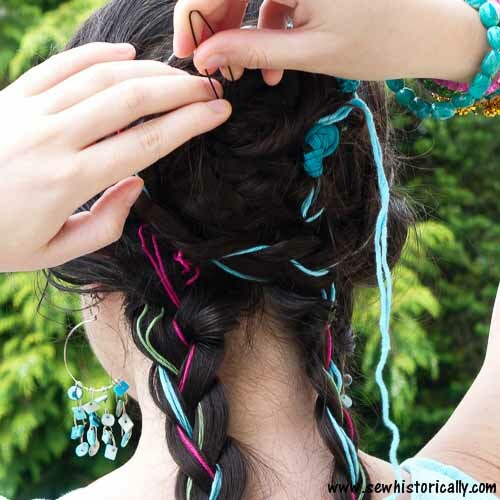 Now braid the hair into four or more braids. 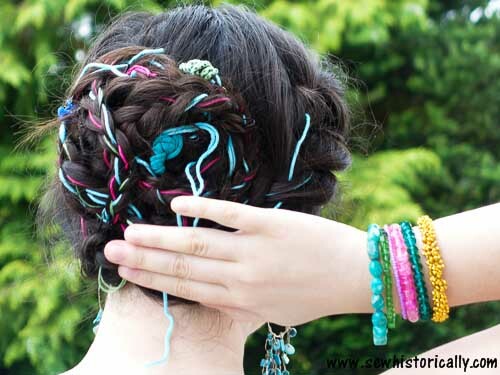 Coil the braids into a messy braided bun. 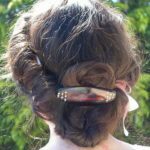 Secure the braided updo with hairpins or bobby pins. 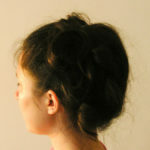 Here you’ll find the tutorial for another braided updo. That is super cute. It is a really fun way to add a bit of color and pop. 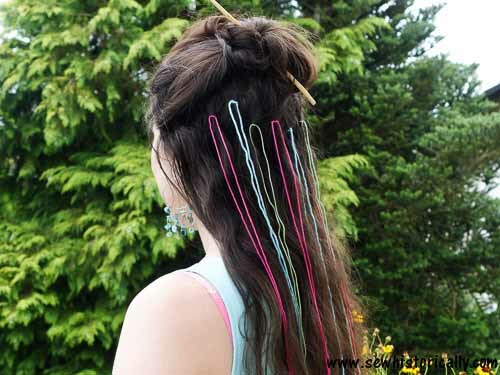 What a fun summer hair idea! I love the multi-colors and how easy it is to do. Thanks for the awesome tutorial! I have a teen-aged daughter who’s going to love this! 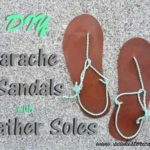 I’m excited to have discovered your blog through the Encouraging Hearts & Home blog hop. That is such a cool look. 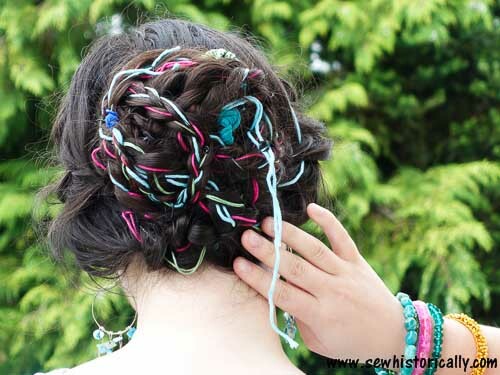 If I was 10 years younger, I’d be all about these braids. 😉 Pinning. Thanks for sharing at To Grandmas House We Go Link Party. Such a fun idea. 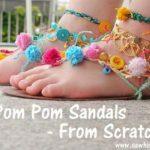 Perfect for festivals this summer! 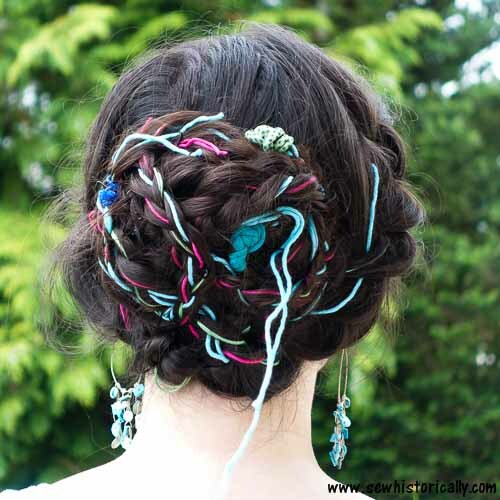 Love your braided hair and the yarn is a fun idea! Thanks for sharing at Vintage Charm! 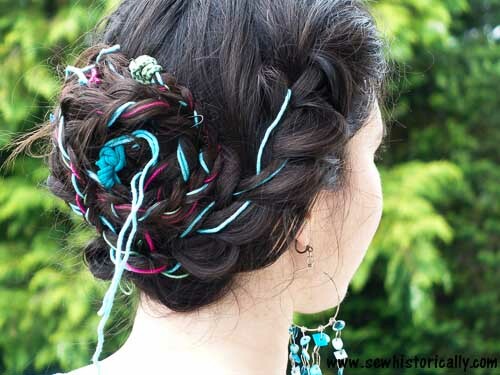 This braided up do is perfect for summer festivals. It has flare. It does look like hair chalk but so much less mess. So cute! My youngest daughter would love this. I have to show her. Thanks for sharing with SYC. Thanks, Jann! 🙂 Let me know how she likes it! Cute way to get a boho look. Thanks for sharing this at the Inspiration Spotlight party. 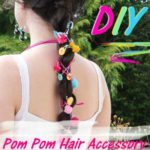 What a fun braid option. I am always doing my daughter’s hair in braids. I’ll have to share this idea with her. Thanks, Mary! 🙂 Let me know how she likes it! Such a pretty and fun idea. I saw this the other day on your instagram and thought then what a lovely, inexpensive idea it was. I have a huge yarn stash and daughters! I’ll be trying this! What a cute and fun idea for big and little girls. Thanks for sharing on Sunday’s Best. So beautiful! A great way to get those boho vibe and add color! Thanks for the tutorial!